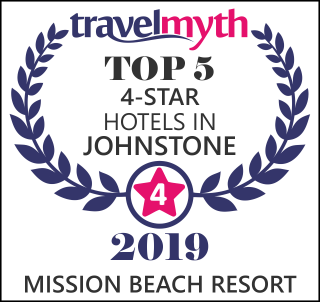 Well-appointed air-conditioned resort style accommodation is offered in 4 different areas of the resort, each room boasts its own private patio opening onto one of 4 landscaped pool and BBQ areas. 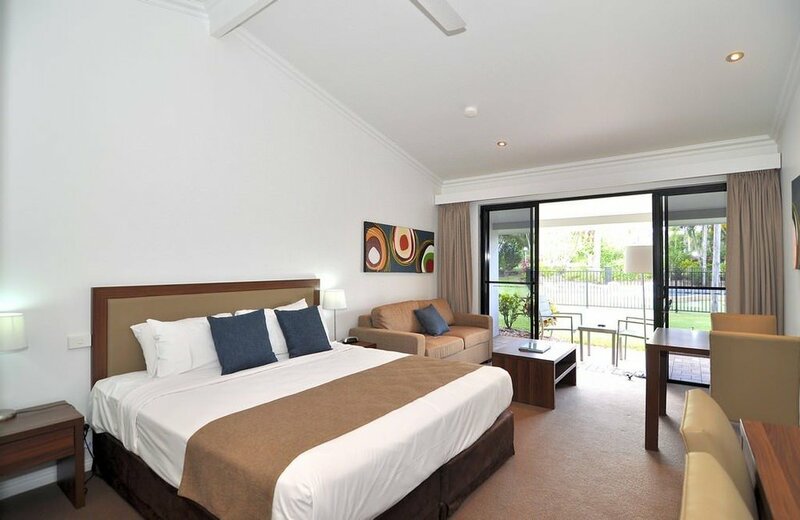 Accommodation ranges from Superior Rooms to 2 Bedroom Apartments that will suit all budgets. Mission Beach Resort is also a great step off point for some unique and varied activities from Bush walking, Island Hopping, Reef Trips, Snorkeling and Scuba Diving, Skydiving, White Water Rafting on the renowned Tully River, Fruit and Farm Tours plus much, much more. Mission beach is located half way between Cairns and Townsville and is serviced by all major Bus Companies. 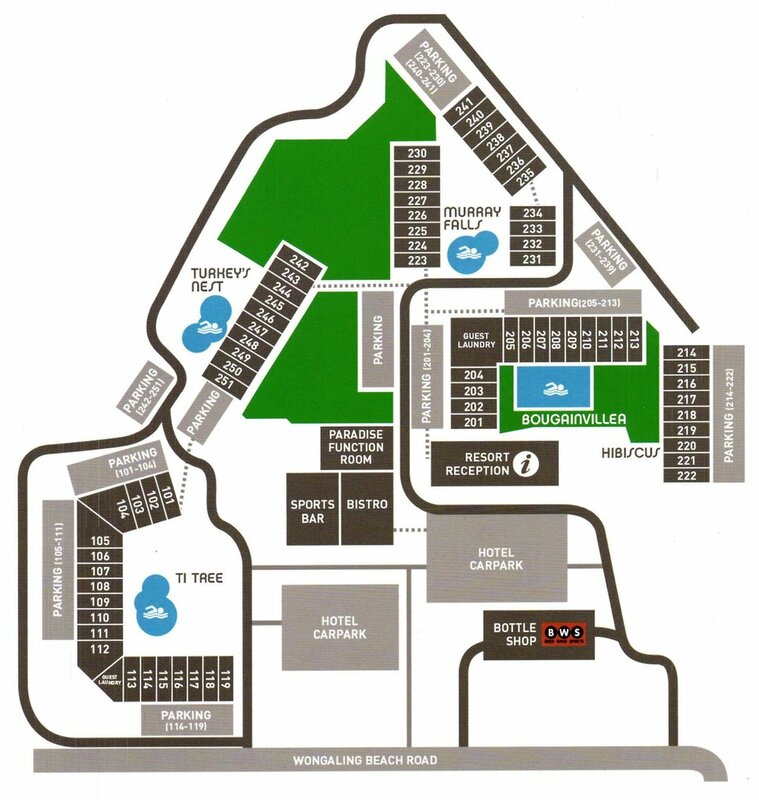 The Bus Terminal for these companies is located only 100m from the reception area of Mission Beach Resort. Private Coach and Car Hire Companies are also available from Cairns Airport and City Centre. Our spacious King Suites consist of a king pillow top dream bed in a separate bedroom and one double sofa bed. 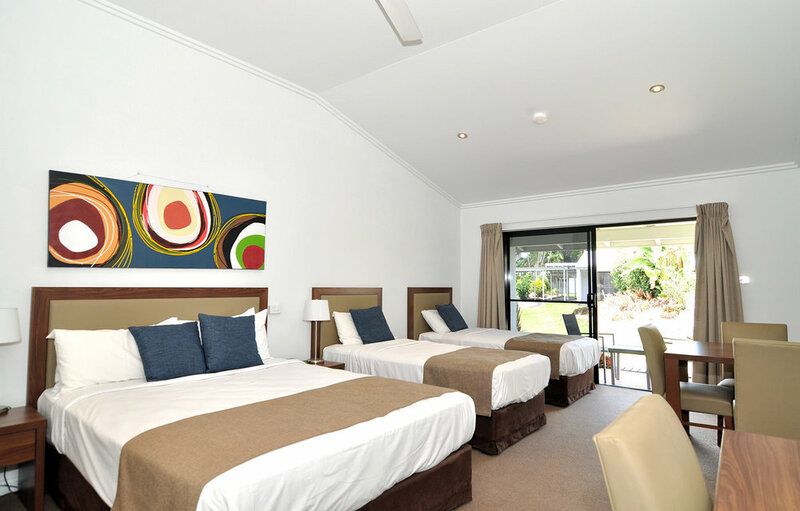 These rooms are fully air-conditioned and include a full kitchen, lounge/dining room, spa bath with separate shower, and an LCD TV with Foxtel. All Apartments have private balconies that lead out to or Ti Tree Pool and Spa. 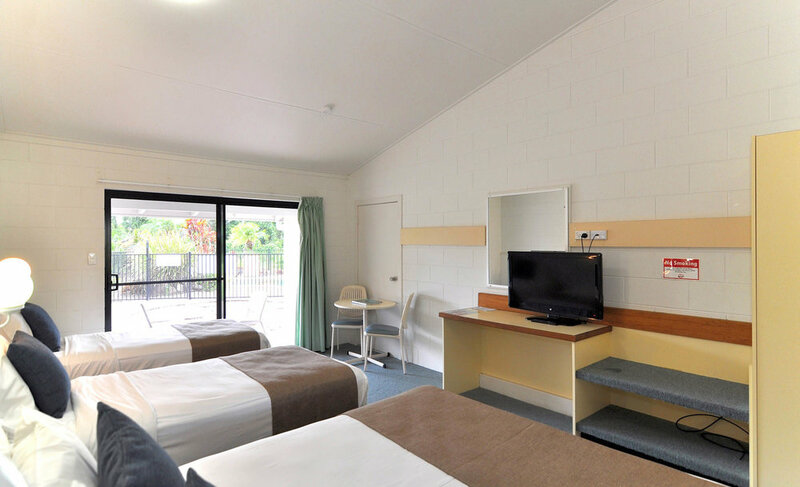 Superior Queen Rooms come with the convenience of a a bar fridge and tea and coffee making facilities. This room is perfect for the Solo traveller. If you're looking for kitchen facilities look no further than the Superior Queen Room. Featuring a queen sized bed, this room is perfect for those wanting the convenience of cooking for themselves. Superior Queen Apartments have all the comforts of the Superior Queen Rooms but instead of a Double Sofa, the room comes with the convenience of a mini kitchenette. This room is perfect for the Solo traveller. 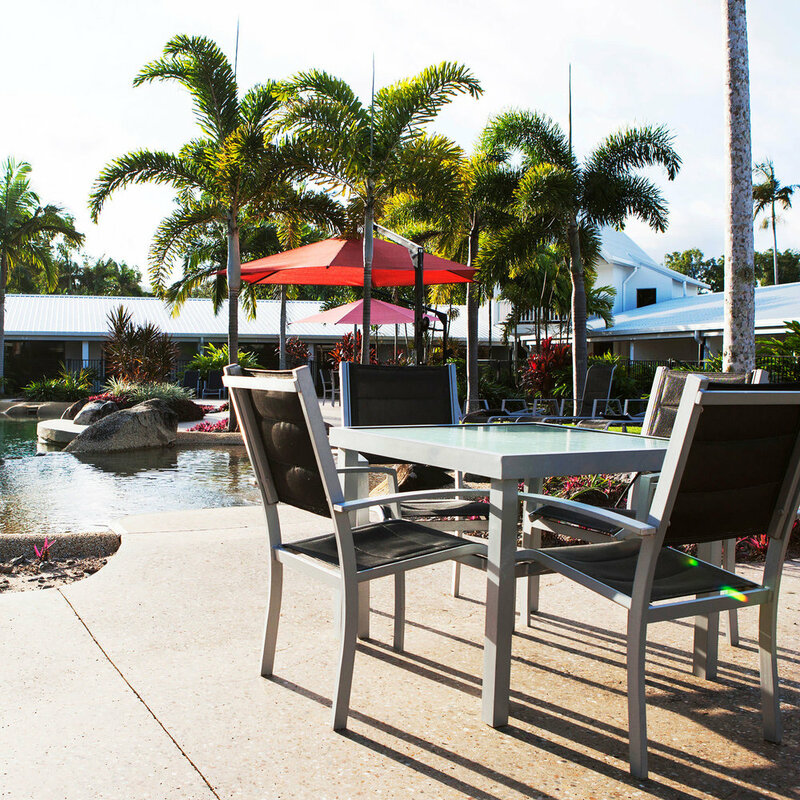 The Grand Family Resort Experience! Recently renovated to a modern interior design, this room features a queen pillow top dream bed and 2 single pillow top dream beds, desk, tea and coffee making facilities, and LCD TV with Foxtel. Laundry facilities are available close to these rooms, as well as the resort BBQ Area. All rooms have a private balcony that lead out to one of our resort pools. 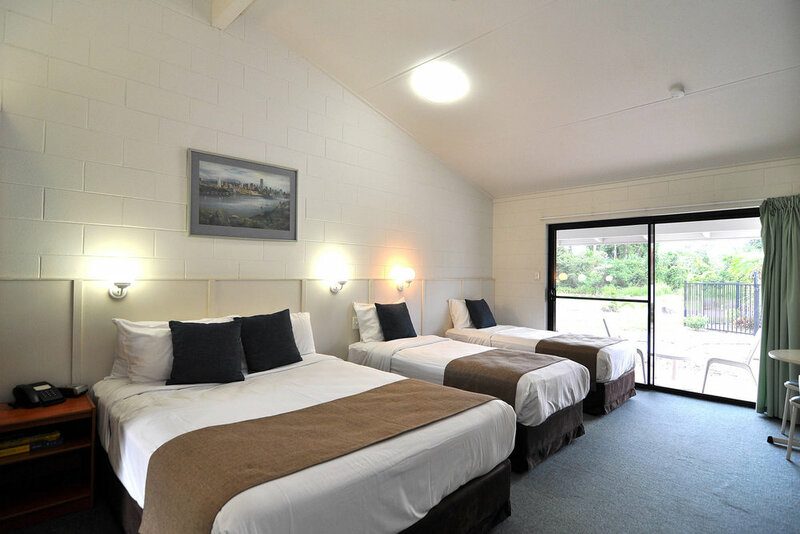 Family Rooms are perfect for those travelling on a budget. Partly Renovated, this room features a queen pillow top dream bed and 2 single pillow top dream beds, desk, tea and coffee making facilities, LCD TV with Foxtel, bar fridge, safe off-street parking close to your room, complimentary bath amenities and an en suite bathroom. Laundry facilities are available close to these rooms, as well as the Resort BBQ Area. Studio Family Apartments have all the comforts of the Studio rooms but also come with the convenience of a mini kitchenette. Perfect for guests wanting the Resort Experience with the ability to prepare their own meals.